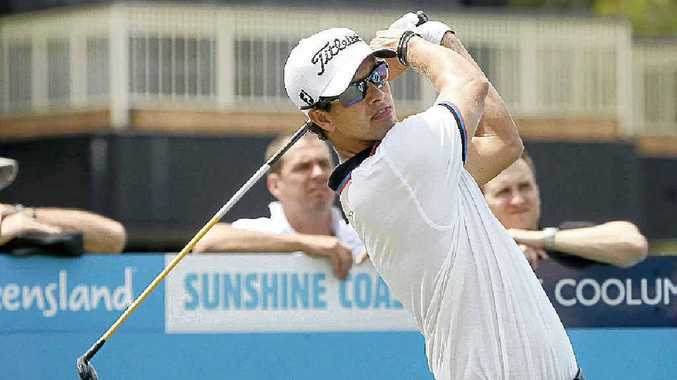 DESPITE a physically and emotionally draining fortnight, Adam Scott has declared himself fighting fit for the Australian PGA Championship, which starts today at the Hyatt Regency Coolum. Scott will play his third tournament on home soil in three weeks, having turned out at the Australian Open and the Presidents Cup. While many may doubt his ability to back up after such a tumultuous few weeks, he says his game is in the best shape of his career. "Mentally I think I am all right. Physically I am just a little tired, picked up a bit of a cold," he said. "I'm feeling pretty good. Obviously, it's been a big week (with the Presidents Cup) with everything that goes on, but I have done nothing for a couple of days so I should be right." Scott enjoyed a strong 2011, fighting his way back into the world top 10 on the back of a win at the World Golf Championship Bridgestone Invitational and another seven top-10 finishes. Although his results at the Presidents Cup were mixed - he picked up just two points across the four days - there has been a lot to like about his game over the last 11 months considering he missed the cut in just four of the 18 PGA events he contested. While a win in a major championship has once again eluded him, he refuses to feel frustrated with his game - even after being pipped in the US Masters by Charl Schwartzel. "Well, it (his share of second at the Masters) was less annoying for me because I had a chance," Scott said. "For a small split second there on the 16th, I though I might win it, but for me, this year it's all been about contending in big events. "I think I did a good job of that overall. I played much better in majors, I played well in the World Golf Championship events and that is what I set out to do. "It was disappointing to be so close and not get over the line at Augusta, but it is a step in the right direction and I've never been so close before."